5 reasons why Chelsea should bring Juan Mata back from Man United | The Transfer Tavern | News, breakdown and analysis on all things football! The departure of Juan Mata from Stamford Bridge in 2014 shocked many – not least because it was to Old Trafford. 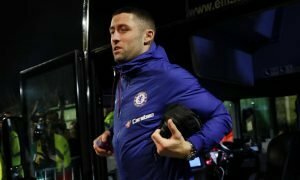 The Spaniard had just won the Player of the Year award at Chelsea following the club’s Europa League winning campaign under Rafael Benitez, was in the form of his life and had become a fan favourite at the Bridge. All that changed however following the re-appointment of Jose Mourinho, and the World Cup winner soon found himself isolated, making only 11 Premier League starts up until Christmas with Oscar preferred by the Portuguese. Frustration set in, and the fan favourite was soon on his way to the Theatre of Dreams in a shock move and claiming to ‘be really happy to go’. The fall from grace was not the former Valencia man’s fault, thought it was monumental. A player who in only 135 games had scored 33 goals and provided a whopping 58 assists had moved for pastures new and Chelsea fans were left wondering what just happened. In a strange twist of fate however, history looks to repeat itself this summer. The self-proclaimed ‘Special One’ has now followed the man he sold to the Red Devils to become their manager, and is reportedly happy to once again let the 28-year old go as he looks to build his squad at Old Trafford. Mata again has been impressive at United, and should count himself desperately unlucky if he were to once again given the axe from the ‘special one’. 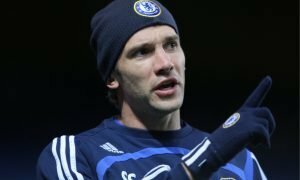 The door however, may just be open at Stamford Bridge, so here is why the Blue’s should do all they can to re-sign their once midfield dynamo ….